Oscar-nominated director Markus Imhoof joins us to discuss his debut documentary on the global honeybee crisis. 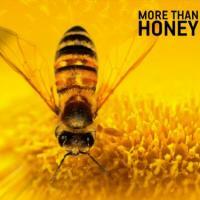 “More than Honey” explores the mysterious disappearance of bees and the validity of Einstein’s statement, “If bees were to disappear from the globe, mankind would only have four years left to live.” As Imhoof travels around the world, he exposes the underpinnings of the honey economy by interviewing various beekeepers and scientists. The documentary has won German, Austrian, and Swiss Film Awards and is currently being screened across the U.S. Hosted by Rafaella Fontes.